CEO of the American Civil War Museum Gives 2019 Founders Day Address Coleman's talk, “In Times Like These: Responsive and Responsible Leadership,” can be viewed in full online. Christy Coleman delivers the Founders Day/ODK address in Lee Chapel. 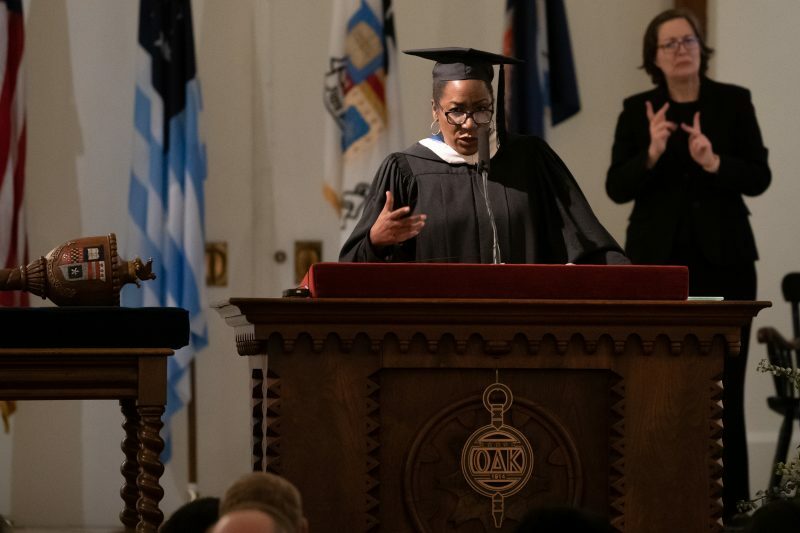 Christy Coleman, CEO of the American Civil War Museum, was the featured speaker at Washington and Lee University’s Founders Day/Omicron Delta Kappa Convocation on Jan. 22 in Lee Chapel. The event can be watched in full here. 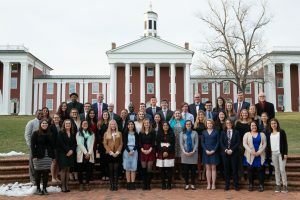 Coleman’s address preceded the traditional tapping ceremony for new undergraduate student, law student and honorary initiates of Omicron Delta Kappa, a national leadership honor society for college students, faculty, staff and administrators that was founded at Washington and Lee in 1914. The University Singers performed. Coleman grew up in Williamsburg, Virginia, and earned her bachelor’s and master’s degrees from Hampton University. In her role as CEO of the museum, she has furthered discussion around the Civil War, its legacies and its relevance to lives today, not only in the Richmond region but around the nation. the Charles H. Wright Museum of African American History in Detroit, Michigan. In 2008, Coleman was named president and CEO of the American Civil War Center at Historic Tredegar (ACWC). In 2013 she helped orchestrate the merger of ACWC with the Museum of the Confederacy to create the American Civil War Museum.